More of a millwork item, this built in was made for a client in New York City. The basic storage below, shelving above was requested. 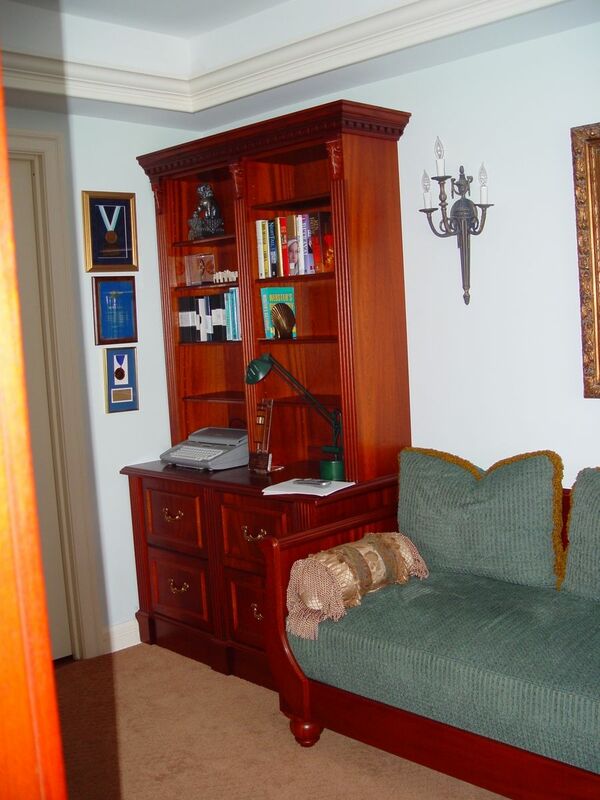 The unit was manufactured from Mahogany which was custom stained to match a color provided by the home owner. We also manufactured the day bed to the right of the shelving unit which was later upholstered by the home owner.